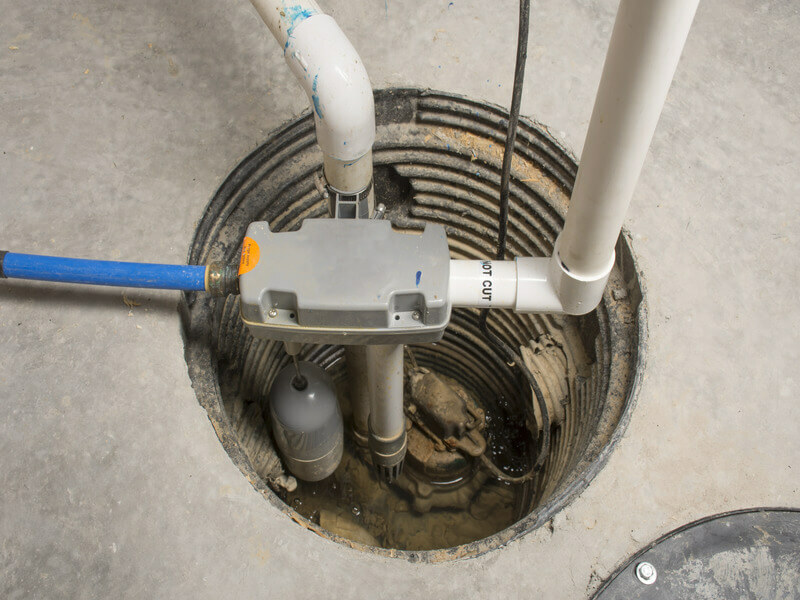 If you’re not familiar with a sump pump installation and inspection, there are a couple of things that you should know about it. A sump is defined as a low space that collects undesirable liquids, according to Wikipedia.com. It can include any low space, but usually indicates a part of a person’s home or business. This could be a basement, cellar, or any other low lying part of your property. A sump pump, then — is a pump that removes or clears all of that undesirable liquids, usually water. Without a sump pump, you may experience flooding with any heavy rain. This could, in turn, lead to structural damage of your sheetrock or wood, as well as to damage to any machines you may have down in the basement, such as a washer or dryer. Some things to consider are having a backup sump pump, or a sump pump that’s powered by batteries or hydraulics in order to make sure it’s running at all times. You can also order an alarm to notify you should your pump be disabled for whatever reason, like a power outage. A sump pump is particularly necessary in Hamilton, and you should be able to find a Hamilton plumber that can help you install it pretty easily. The installation process for a sump pump is fairly straightforward, although a lengthy process. To properly install your sump pump drain, first you’ll want to use a level to find the lowest point in your basement or cellar. You’ll then want to mark the appropriate route for the discharge line, and dig a pit for your pump to sit in. You’ll likely need a jackhammer for this step. You should then install your liner into the pit, run your discharge pipe and PVC pipe. Lastly, sit your pump into the pit. Don’t forget to use a diverter, to make sure the water is discharged far enough away from your home’s foundation. It is necessary to undergo regular sump pump inspection. You should check your own sump pump each month, with a more thorough examination performed quarterly. You should also hire a professional to do a yearly exam, according to Allstate Insurance. In the annual exam, the plumbers or sump pump professionals will inspect the pump, the drainage, the alarm, the pit, as well as the discharge location. For more information on plumbing and plumbing services in Hamilton ON, as well as sump pump installation or drain repair in Hamilton OH, feel free to contact us at Dr. Pipe Drain and Plumbing Services. We are available by phone at 416-663-4777, or on the web at https://hamiltonplumbernow.com.